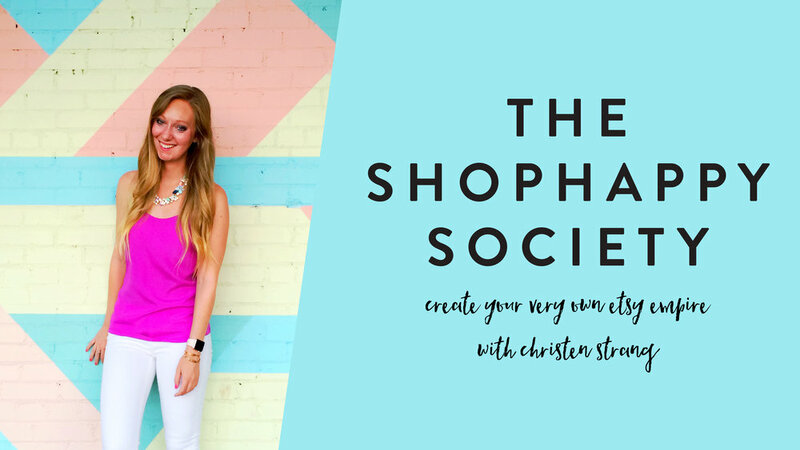 you ARE officialLY invitED to JOIN the shophappy society. Ask questions, share your success stories, and mingle with over 400 like-minded Etsy sellers who will be your biggest cheerleaders! Just click "LET'S DO THIS!" below to request acceptance into the private Facebook group. Stop trying to DIY your creative biz. Get the support and answers you've always wanted inside the coolest club on the interwebs.